In this day and age, innovation, amongst other things is one of the major factors moving the smartphone industry ahead. Samsung’s heart-rate sensor and software perks, HTC’s duo camera setup in the One (M8) and Apple’s use of Touch ID fingerprint sensor are examples of innovation in recent times. Although many manufacturers have come up with their own little innovation, Sony still remains a behind. Not anymore, though. Sony announced via twitter it will be announcing a selfie-oriented smartphone, and thanks to the rumor mill, we have more info on that matter. The smartphone in question is the Sony Xperia C3 (otherwise known as ‘Gina’). As a selfie-oriented smartphone, it packs a snapper of unknown resolution (probably 5MP or 8MP) along with a LED flash. The screen of the Xperia C3 measures 5-inches of unknown resolution (probably a 720p or more). The smartphone boasts a beefy 2500 mAh battery to get you through the day. Other specs remain a mystery at this point, but you don’t have to wait that long, as the Xperia C3 will be officially unveiled tomorrow. The phone will be available in a variety of colors including turquoise, white and black. Pricing of the device is also a mystery, but a price of around $400 seems fair. Some might argue that the selfie concept has already been done and achieved by the Huawei Ascend P7, but it is the first of many steps by Sony to climb the ladder of a larger chunk of the mobile market, and with devices like the Xperia Z2 and Z Ultra already on the market, the future is looking bright for Sony. Regardless, the Xperia C3 will be an interesting device. 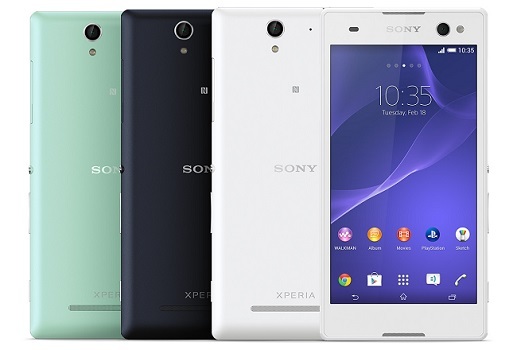 With all the hoopla and popularity of taking selfies, the Xperia C3 will be a hit for many.